Netherlands Removals is professional removals company that aims to assist both private and business movers with their relocation. Removals are typically rather stressful periods for anyone who is undertaking them because of the practical issues it usually throws up. It is never as simple as you would like it to be but by hiring a professional removals company of our standard you can achieve an almost stress-free move at low-costs. We understand that in the current economic climate movers do not want to spend inordinate amounts of money on top of the money spent for the new property itself. With this in mind all of our services are extremely well priced so that you don’t have to worry about breaking the bank’s back. If you want to find out more about who we are and what we do, as well as get a free quote from us, then all you have to do is call 020 8746 9616. Calling us is the first step to achieving a removal that you will remember as being enjoyable as opposed to stressful and anxiety-ridden. Our company has a vast experience of undertaking removals and are well established all over Europe. Although we our based in London we have a comprehensive coverage of the United Kingdom, Europe – and of course- the Netherlands. We can undertake long distance and overseas moves which means that we are your one-stop removal company for all removal services. Our staff are extremely well trained when it comes to the practical aspect of removals but we also pride ourselves on giving well-informed advice for all of our customers who need it. We aim to provide our customers with a removal service that enables them to enjoy a stress-free experience of moving house or moving office. It doesn’t matter how big or how small the job at hand is, whether it is long-distance or just around the corner, we will endeavour to make your life infinitely easier. The levels of expectations surrounding removals are usually quite low, but we are no man-with-a-van-company doing the bare minimum to help. Our wide range of services means that our customers regularly come away satisfied. All of your needs will be taken care of to our fullest competence, ensuring that the transition from one location to another is smooth and absent of any problems along the way. All of our staff are hard-working, punctual and reliable as well as expertly trained to give you the best possible service we can give you. We thoroughly believe that by providing our customers with a friendly service we can make your removal more enjoyable as a whole, rather than a dreary drudge of an affair. The extensive list of services, that we provide, means that you don’t have to look around for several companies to help you out with different aspects of the move. Prior to the move we can advise you on what it is exactly that you will need to do. This has the benefit of cutting down costs and helping you organise yourself before anything even begins to be relocated. Home and office removals are successful if they are planned thoroughly beforehand as opposed to being undertaken in an improvised manner. 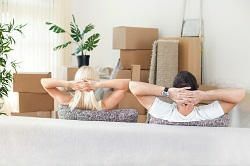 To assist you in this particular aspect of the process, we offer an extensive packaging service that allows you to be fully prepared for the move days before it even happens. We provide you with all of the necessary materials needed such as boxes, wardrobe boxes, furniture wrapping and bubble wrap. We will give you essential advice on what to pack and how to pack it, helping you save time and money in the process. We also offer a storage service for movers who need to keep furniture and items under lock and key for any length of time. There are numerous reasons for needing to hire storage space, whether it be unfinished wallpapering or not enough space for specific items. Whatever the reason is, our storage facilities are extremely safe and secure, as well as being inexpensive. In terms of the actual move, our staff are there to take the strain off of your shoulders. There is no need for you to worry about getting furniture stuck in doorways, or having to dismantle beds because that is all part of our removal service. You can mix and match these services too, so if all you need is storage, then we can help you package the items necessary and then take them to our storage facility. If you want to pack everything on your own, then we will be happy to provide the necessary transport for your possessions. We can also provide free quotes to anybody who wishes to find out more about our fantastic removal services. Our company, then, is exactly what you need in order to attain a stress-free move. There is no reason anymore to try and complete everything yourself because with our experience and services you would be putting yourself under unnecessary strain. If you want a company that has extraordinary experience in the business of removals to assist you with your relocation then you could not do any better than Netherlands Removals. With our goal of providing excellent customer service combined with efficient and professional removal services you will find yourself in safe hands. If you wish to get some free quotes then call us on 020 8746 9616 and listen to what we have to say. Remember, we operate all over Europe and are happy to undertake any kind of domestic, international or local removal. Don’t miss out on our removal services by leaving it too late, we want to help you and if you call us with plenty of time to spare, we can make that happen. Description: Based in London Netherlands Removals offers cheap and reliable removalist service all around London, Holland, UK and Europe. Providing packaging and moving of household goods and furniture.